25-Pk. of 12" Caldwell Orange Peel Bullseye Targets. SAVE BIG! See exactly where your shots land, no binoculars needed! These targets practically light up with bright orange with each hit, making it easier to see downrange. Sighting in just got a whole lot easier. 25-Pk. 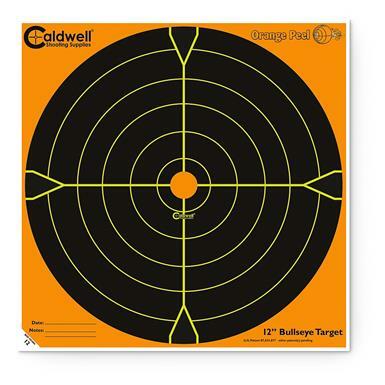 of 12 Caldwell Orange Peel Bullseye Targets is rated 4.9 out of 5 by 12. 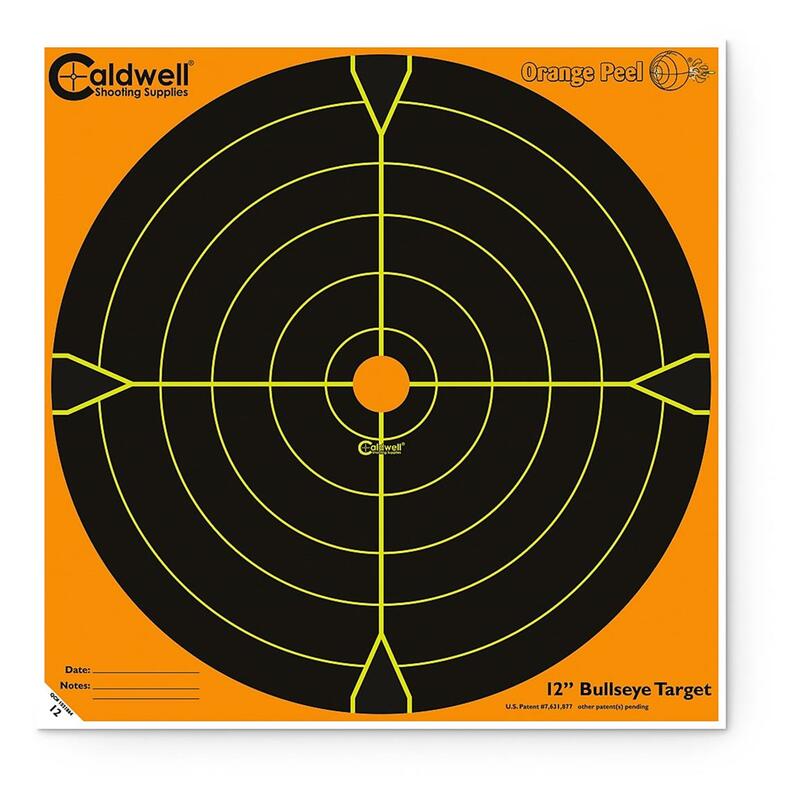 Rated 5 out of 5 by jamesa from Caldwell Orange Peel Bullseye Targets Great for target practice or to adjust your firearm sights or scope. Easy to see impact point even with a 22 at 25 yards. Rated 5 out of 5 by Ron5 from Works well Nice and bright, good splatter spots. A bit too expensive, but I use them over and over to get the cost per suse down. Rated 5 out of 5 by CHARLIE124227 from See It All @68 my eyes are still good but these targets are making it easy for me to make adjustments without walking down range. Great for all shooting options. Love'em. Rated 5 out of 5 by leoskypilot from great targets Great 12" stick on targets especially for long range shooting at good price. Rated 5 out of 5 by Jim B from Great product!!! Rated 5 out of 5 by irspud from A good product. I really like these targets. Depending on the range of your targets, a spotter is not needed. I will buy more from this vendor.